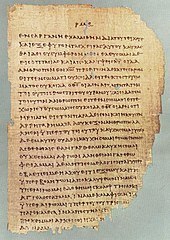 The Second Epistle to the Timothy is the fifty-fifth book in the Christian Bible, and the sixteenth in the New Testament. This book is believed to a letter from the Apostle Paul to Timothy. This page was last changed on 23 December 2014, at 19:00.